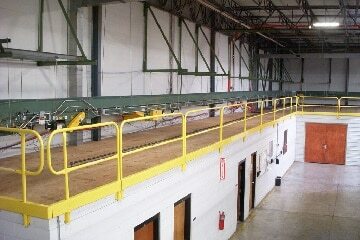 Our industrial Safety Handrail System is a permanently attached fall protection system for applications inside commercial and manufacturing facilities. 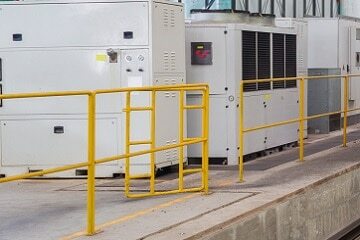 This system can be used for many applications like Machine Pits, Pedestrian Walkways, Pits and Vaults, Loading and Shipping Areas, Production and Assembly Areas and Mezzanines. Rail Sections are easily removed for servicing machinery and equipment. Safety Handrail components include Floor and Wall Mounting Brackets, Rail Sections and Locking Pins (secures Rail Section to Mounting Brackets). 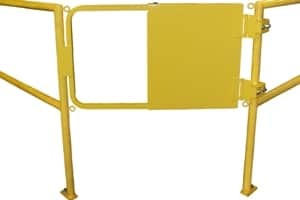 Integrated options are Toe Boards and heavy duty Self-Closing Safety Gates. 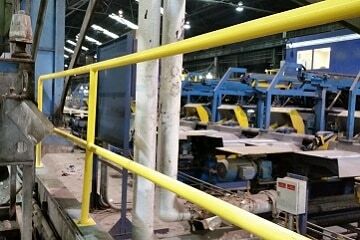 Standard finishes are safety yellow powder coat and hot dipped galvanized. 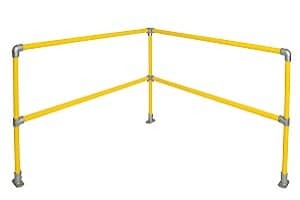 Safety Handrail 1-Piece Rail Sections use Floor, Face and Flush Mounting Brackets. 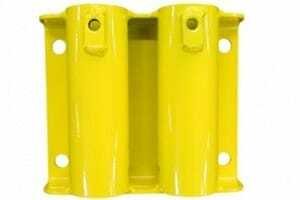 Rail Sections are secured to the Mounting Brackets using Locking Pins or set screws and can be easily removed for servicing machinery and equipment. Safety Handrail Top and Mid Rails, and Stanchions are trimmed at the jobsite for a continuous, custom fit. 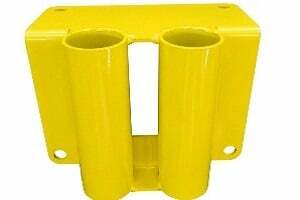 Rail Sections use Floor, Face and Flush Mounting Brackets and are secured using set screws. 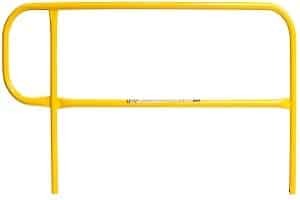 Safety Handrail kits include Rail Sections, Mounting Brackets and Locking Pins. 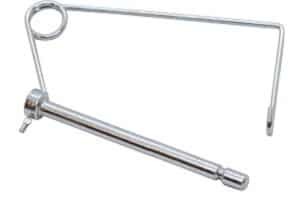 When you need to service, repair or add new machinery, our Safety Handrail Rail Sections are easily removed form their mounting brackets. 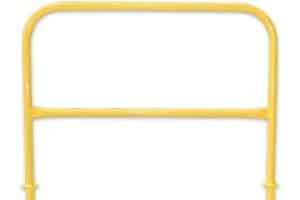 Simply remove the Locking Pin and/or set screw and detach the Rail Sections from its Mounting Brackets. 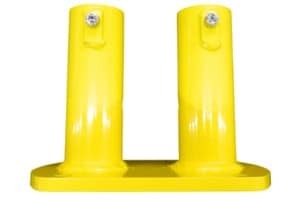 Safety Handrail Systems will help keep you employees, contractors and visitors safe from fall hazards along walkways, and at shipping and loading areas. 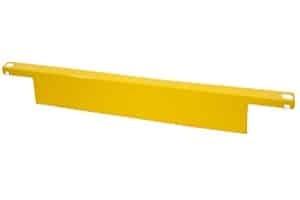 Rail Sections with bright safety yellow finish can also act a hazard barrier to help direct pedestrian traffic throughout your facility. Safety Handrail Systems will help protect your workers from falls when working and loading materials at elevated heights. 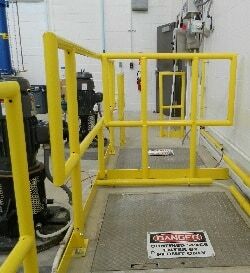 We can also integrate Pallet Gates, Manual Gates and Self-Closing Safety Gates into our Safety Handrail Systems.